Security harassed this Blogger while taking photos of AVSR1 from a public road. 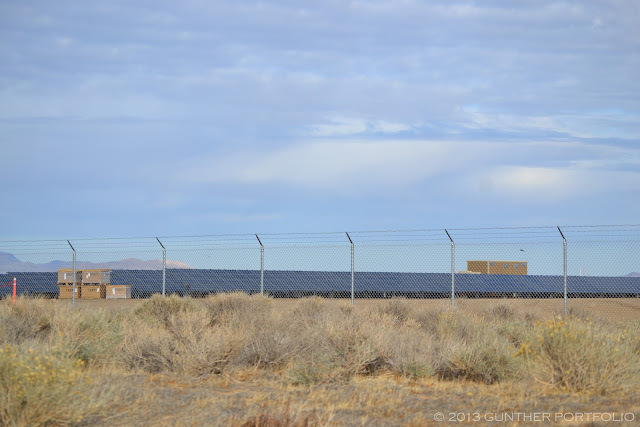 After the NRG Alpine Solar Project photo op, I continued east on State Route 138 and reached the First Solar, Inc. (NASDAQ:FSLR) AVSR1 (AV Solar Ranch One) 230 MegaWatt (AC) project New Year’s Day afternoon. North of Route 138 or W. Avenue D, substantial progress was evident since I last stumbled upon AVSR1 over a year ago. I decided to review the southern section under construction and turned right on 170th St. West. Scoping out the project block, I observed a security presence at the site entrance and made a mental note to be on my best behavior. Doubling back, I stopped on the east side of the road and proceeded to take photos from the public street shoulder. It appears my activities were quickly observed and a security person, I’ll call him the good security person, drove over in a pickup truck, stepped out, and told me First Solar did not allow photos to be taken. I explained how it was legal to take photos from public property, namely the street. In an amicable way, he reiterated First Solar did not allow photography and said employees were also not allowed to take photos. I pointed out First Solar was within its rights to prohibit or restrict photography on the site but not on public property. Unsatisfied, the security person returned to the pickup and left. As he got into the vehicle, I happened to notice he was armed from the holster on his belt. I continued taking photos as I moved back towards Route 138. Quite honestly, the photos, as inset, were of negligible value with the chain link fence in the way and interfering with the focus. Passing the site entrance again, a second security person intercepted me. Staying in his pickup truck on the road, the second security person, the bad security person, was adamant about the First Solar photography prohibition. Nonetheless, I kept snapping photos and even changed lenses. With a menacing tone, the second security person reiterated the photography ban. In an ill advised approach, I asked what he was going to do, arrest me? As a third party security pickup pulled up, I decided to evac (evacuate) as discretion is the better part of valor? Before leaving I took a few photos of the second security person as he pointed at me and warned me not to do so. Not a wise move if things were truly amiss. I knew I had not done anything wrong, but I was worried events could be misportrayed, and it would boil down to my word against theirs with the local police arbitrating. The general rule in the United States is that anyone may take photographs of whatever they want when they are in a public place or places where they have permission to take photographs. Most confrontations are started by security guards and employees of organizations who fear photography. The most common reason given is security but often such persons have no articulated reason. Security is rarely a legitimate reason for restricting photography. Taking a photograph is not a terrorist act nor can a business legitimately assert that taking a photograph of a subject in public view infringes on its trade secrets. 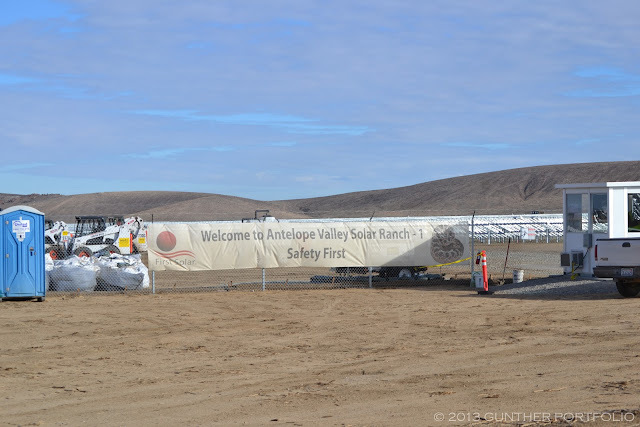 The next day, I contacted First Solar and explained what happened at AVSR1, requested corrective action, and, out of character, asked for an apology. First Solar looked into the events, promised to remind security of rights pertaining to public roads, and extended an apology to me by the end of the same day. Thank you First Solar! 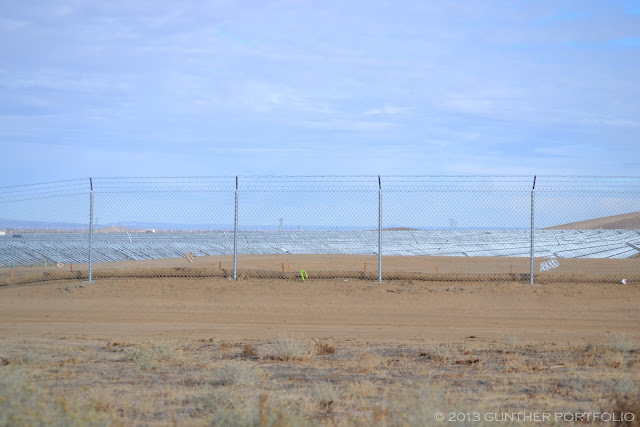 I can understand the heightened security at AVSR1 after the acts of vandalism reported by Herman Trabish for Greentech Media in “$100,000 Vandalism at the First Solar/Exelon Antelope Valley Solar Ranch One”. However, aggressive security extended to the community and casual observers will tend to disaffect supporters in addition to detractors. And by so doing, the need for an active security force will be extended throughout the twenty-five (25) year project life, raising O&M, Operations & Maintenance, costs and lowering project returns. 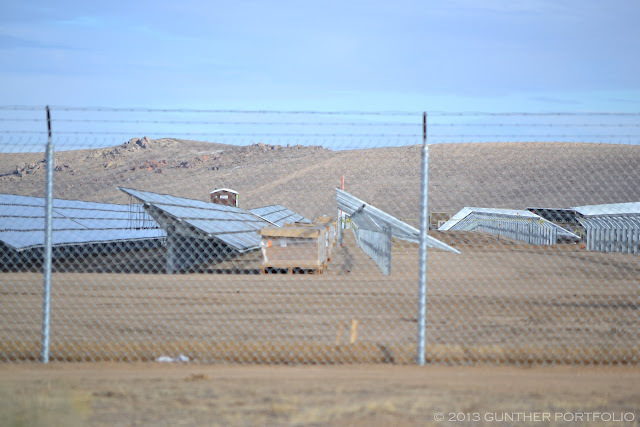 In retrospect, I have never observed armed security at a solar project before. With utility scale photovoltaic solar plants, hundreds of millions to billions of dollars are at stake so perhaps armed security is becoming the norm. 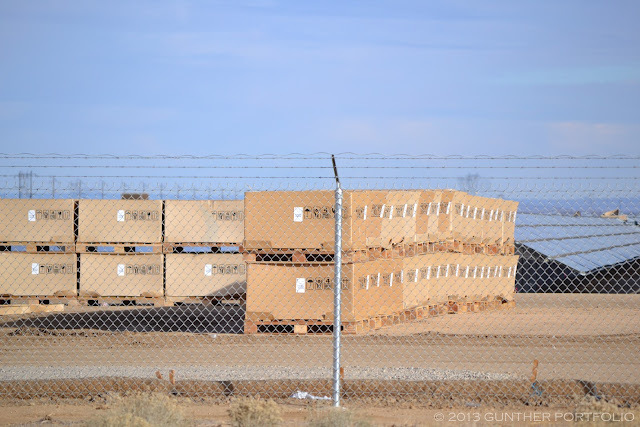 But I can’t imagine why the public should ever be prevented from taking photos of solar facilities enabled by state Renewable Portfolio Standard (RPS) goals. In my experience, security guards will always harass anyone taking photos of “their” site. I remember being part of a protest at a chemical plant and the security guards were taking photos of all of the participants. Funny thing was, they didn’t like it so much when I started taking *their* pictures! Nice photos – glad things didn’t get out of hand. FSLR has every right to secure the facility and protect AVSR1 from would be vandals. However, they can’t deny individual rights doing so. I would expect armed security to be better trained and have better management directing them. 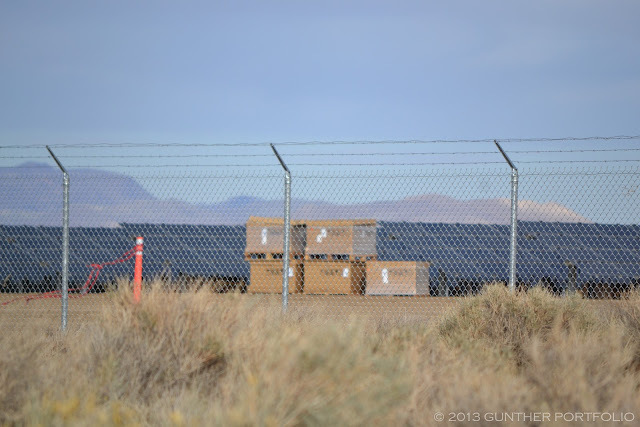 I understand your point about AV and have seen some of the wild website forums discussing AVSR1 and other PV projects.